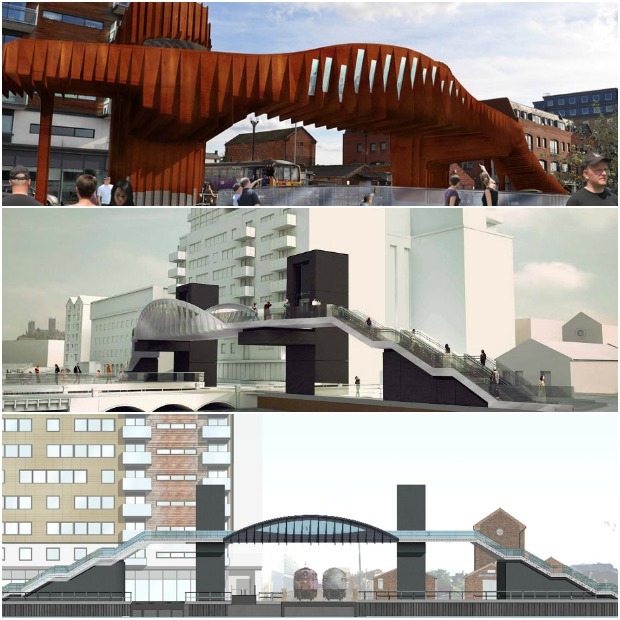 The latest, scaled-down, designs have been submitted to City of Lincoln Council. 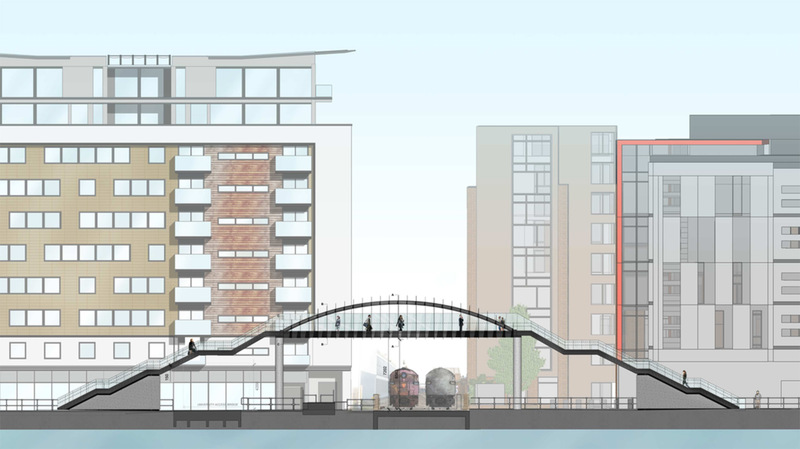 Final plans have been submitted to City of Lincoln Council for a long-talked-about pedestrian footbridge over the Brayford Wharf East level crossing, without lifts. 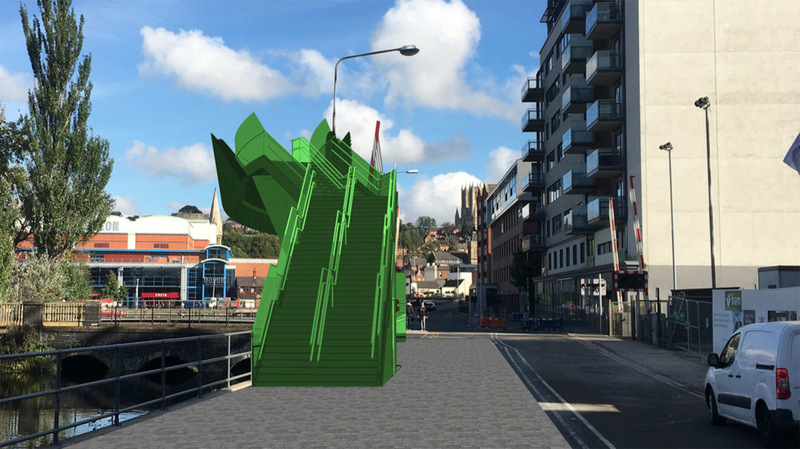 The new, scaled down application follows original approval of a bridge with elevator towers. Changes have been made due to what Network Rail describes as financial restraints. The crossing, which is used by around 16,000 pedestrians and 7,000 vehicles a day, has a current barrier downtime of up to 20 minutes every hour – a statistic that is expected to increase. The Brayford level crossing is currently ranked the second highest risk level crossing on the East Midlands Route. New designs also appear to show an extension to the path beside the bridge, requiring significant roadworks, where just this autumn Lincolnshire County Council invested in a new one-way road system with islands and new traffic lights. 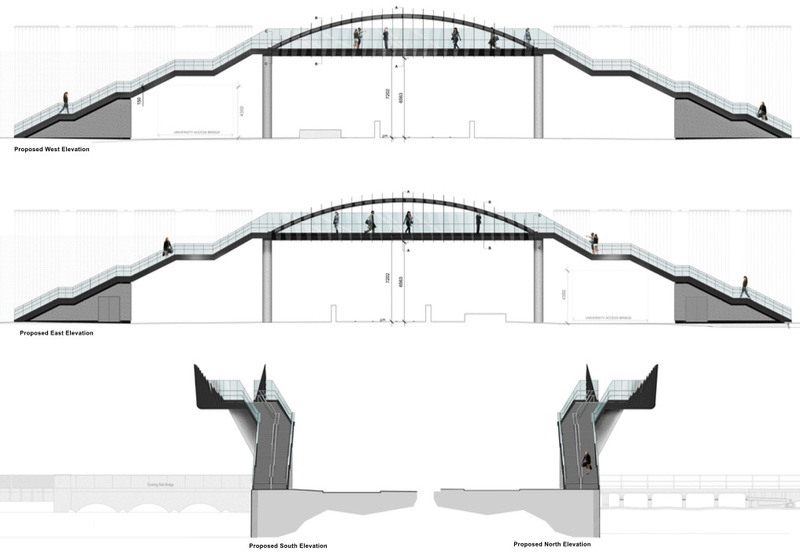 As reported previously, proposals for the bridge have been through a number of incarnations and the project was shelved for around a year due to cost. 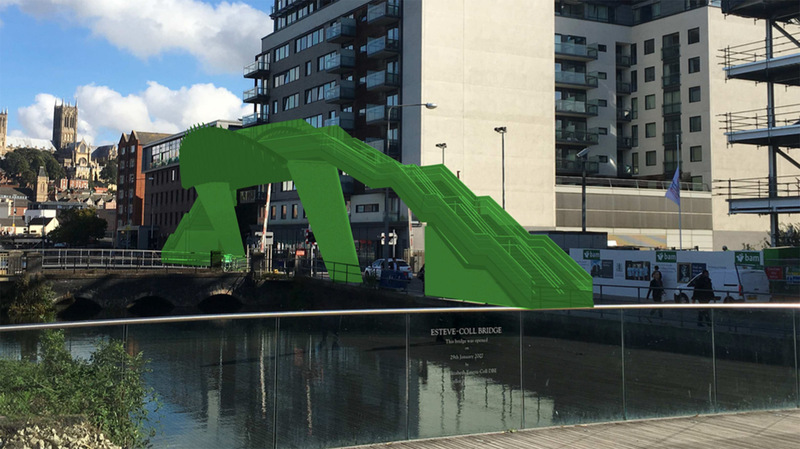 The footbridge has undergone a number of delays and redesigns since its initial proposal. Plans have been submitted by Network Rail to City of Lincoln Council planners. Representations in response to the proposals must be made by January 6, 2017 and plans will be considered by the council at a date to be determined. This summer, Network Rail completed its new level crossing footbridge on Lincoln High Street.